As we move into December, it’s time to catch up on some of the highlights of fangirls, heroines, and leaders around the web. More real-life inspiring figures made the news recently. ABC News reported about Christmas Abbott, the first female pit crew member for a Nascar team. NBC News did a story on two young women – both shorter than 5’7″ – who recently passed the unbelievably demanding Sapper Leader Training course for combat engineers in the U.S. Army. When you get there, you’ve got to help the women coming behind. Madeleine Albright, former secretary of State, beloved friend of the Wilson Center – and me, personally – is quoted as saying, there’s a cold place in hell for women who don’t help women. And there are a lot of women out there who don’t help women. There is truth in that statement, but there are a lot of indications that times are changing, with some great examples in today’s web roundup. Jen Heddle retweeted this enlightening interview with Anne Sowards, an editor at Ace and Roc. Sowards gives some interesting perspective on the editorial production side of the process, and her interests in stories ranging from urban fantasy to military scifi. “I don’t have to give advice to Kathy,” [Lucas] said, during the most recent of his chat series with the producer. “She knows what to do. I mean, she knows better than I do. There’s news from the fandom recently to share, as well. 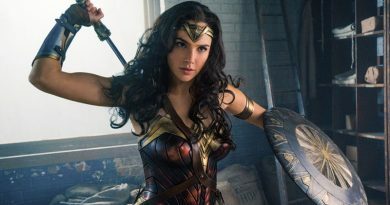 After some initial confusion, Meredith Woerner at io9 clarified that the casting call for “Iris” as the apparent lead role in The CW’s new Wonder Woman series was just a typical Hollywood misdirection: the character will still be named Diana. The director of the upcoming Marvel movie The Guardians of the Galaxy, James Gunn, found himself under intense scrutiny after a 2011 post from his website was brought to light for its sexist and anti-gay remarks. It caught my notice in the TheMarySue.com’s article, which led to a fantastic response from Dark Horse editor Erica Edidin on her Tumblr. After Gunn’s comments and TheMarySue coverage were picked up by The Hollywood Reporter, the director issued an apology through GLAAD, to which the best response came from Susana Polo at TheMarySue. Let’s pretend Gunn’s intentions here were in fact to highlight and lampoon the rampant misogyny and objectification in comics media, where lists like this pop up with astonishing regularity (if usually marginally more work-safe official commentary). If Gunn’s list is satire, it’s bad satire, because it skews incredibly close to material that’s not only already out there, but that comes from official media and in some cases industry professionals. There’s a significant slice of the comics community that is that misogynist and homophobic, and says so loudly and frequently. It’s telling, I think, that so many people took what Gunn wrote at face value: this is material we’ve seen before, again and again, presented seriously. An over-the-top parody of misogyny falls pretty flat when you’re doing it in a context where a lot of the people in positions of relative power and visibility, as well as significant vocal blocs, are actually that misogynist. John Scalzi tweeted a link to a fantastic post by Ana Mardoll, Deconstruction: How To Be A (Male) Ally. I highly recommend it to anyone who wants to learn more about how to be a better ally and advocate for women’s interests in the fandom, and life in general. Dunc from Club Jade retweeted a link to Colleen Doran’s powerful commentary, An Important Public Service Announcement About Fake Geek Girls: The Emotional Economics of Scarcity. This is another must-read regarding recent recurring issues in the fandom. Ashley Eckstein wrote a great post for the Official Star Wars Blog thanking fans for their enthusiastic support for her involvement with the franchise. She also shared the story of Erin Kelahan, an incredible fan with an inspiring story of courage and strength. Despite the challenges of Osteogenesis Imperfecta, a condition causing extreme bone fragility, and a very difficult recovery from a recent car accident, Erin is an upbeat and engaged Star Wars fan, including having read every Star Wars book published. 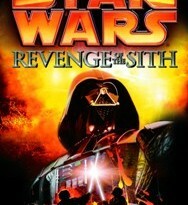 Finally, Dunc’s post yesterday, Reflections on Episode VII, blogging and the future of the Expanded Universe, shares some great perspective from a long-time member of the online Star Wars community about the impending deluge of rumors and speculation on Episode VII and the consequences of the Sequel Trilogy for the past and future of the Expanded Universe. It’s wonderful to see a sense of optimism and excitement building in the fandom again!